Increasing profitability starts in the kitchen for KBP. Nearly 10 years ago, it partnered with Restaurant Technologies to help enhance food quality, consistency, and efficiency for its growing list of locations. Restaurant Technologies implemented a comprehensive oil management plan for the group’s kitchens, eliminating the unsafe handling and filtering of hot cooking oil, streamlining the oil management process and ensuring the consistent delivery of a high-quality product. KBP COO Matt Hansen is happy with the decade-long partnership he has had with Restaurant Technologies.“It’s one of the best systems I’ve ever seen for managing oil,” he says. Your Restaurant General Manager (RGM) has more important things to worry about than cleaning oil stains on the concrete or dealing with inconsistent fried food quality and taste. Increase their capacity and make their jobs easier with an oil management solution from Restaurant Technologies. As a longtime partner with Kentucky Fried Chicken and a Member Programs partner with RSCS, Restaurant Technologies provides oil management solutions for delivering, storing, handling, and disposing of hot cooking oil. Our solution not only makes the life of the RGM easier, we also support KFC’s Re-Colonelization initiatives. Whether by providing visibility tools to help you achieve Chicken Mastery or installing equipment to deliver seamless Oil Management – Restaurant Technologies is a true partner to the KFC brand to help you exceed your goals, contain costs and deliver consistent Craveable Taste. Over 1,300 KFC restaurants have seen the benefits and implemented Restaurant Technologies in their locations. Savvy operators like KBP Foods and Central Iowa KFC have made the decision to put the oil management solution in every one of their restaurants today - and going forward. 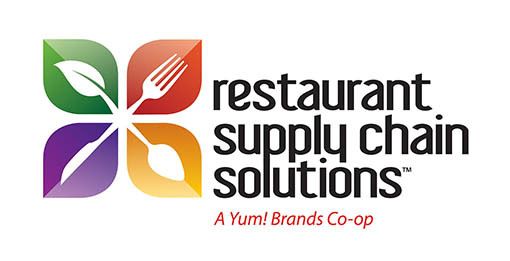 Restaurant Technologies is a Member Programs partner with RSCS as an oil equipment supplier! We’re excited to announce a new pricing tier for KFC franchisees! Reduced pricing is reflective of the success and partnership between KFC and Restaurant Technologies. With over 1,300 locations experiencing the benefits of our Total Oil Management System, pricing is lower than ever and will continue to get better as we add more of you to the program. Sign up to take advantage of the game-changing oil management benefits.